We are so proud to anounce the arrival of the long awaited cruz cajones!!! Heidi has been so delighted by her new 2 cruz cajones (the first of her very own cajon brand called Cruz Cajon, featuring either a guitar string system or a piano string system for the cajon, more details on the cruz cajon page). 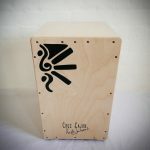 They are handmade with the utmost care by some of the top Cajon artisans in the flamenco world, Prk Percussions. They sound AMAZING and has far exceeded our expectations, some great demo vids coming up next week so keep an eye out! 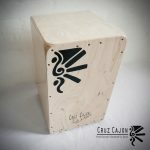 These beauties will be available from our cajon box webshop from mid August for pre-order, the first cruz cajons will be shipped out in september, so pre-order yours now! 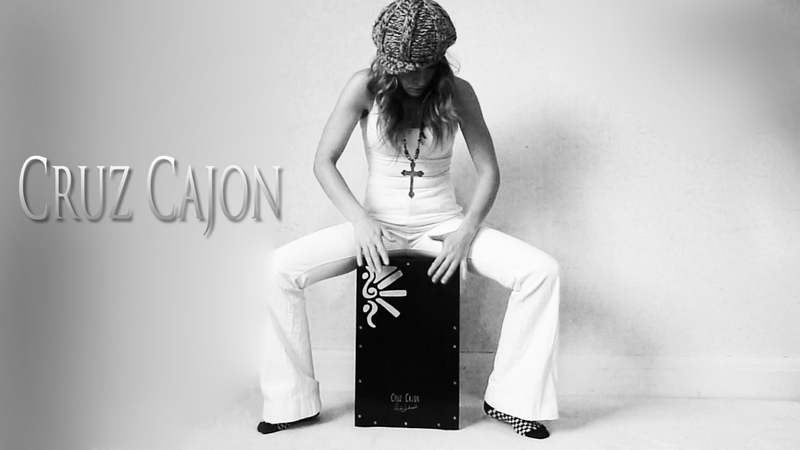 Heidi has been in the studio filming a new lesson video, on how to mike up your cajon for live shows and studio work. This willl be the first Cajon video to feature the Cruz Cajon. The shot above is a still of the video. 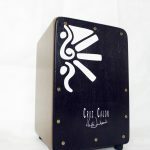 Sign up to our newsletter for updates and cruz cajon specials! Heidi, this looks like WordPress site. Yes? There is a cool add-on (will find the name) that can post all or certain blog posts (and threaded comments) on a Facebook page that you designate. Pretty cool. I use it on both of my sites – works great. If you choose to integrate your Website with a FB page, there’s another add-on (something like “Facebook Social Slider”) that puts an expandable tab at the edge of your website pages that show a current, real-time snapshot of your Facebook page. You can see it in action at http://www.thehiredhandsband.com. And by the way, YES Stefan, content is king! Most people don’t have time to navigate thru fluffy fluff. Ah, did you plan this Website update ahead 😉 ? Now, everythings browsable again, thanks! I have been planning to update my site for months now (you couldn’t view the site from mobiles either, it was so annoying) and I finally got this up. Actually this is a temporary template I am using, I have yet to install my new template (a bit more fancy etc) but I am just so so happy that ppl can now browse properly!! Thanks for the reminder!